Meeting Chinese manufacturers online through internet websites with associated risks and challenges or visiting China are two of the most common ways of sourcing products from China. The latter often being an expensive option due to travel and accommodation costs as well as the challenges of communication and cultural differences. Doing business with high caliber Chinese manufacturers is now more convenient because China Trade Week is bringing China to you! No one can deny that sourcing from China can be rewarding and a highly lucrative way to help you grow your business. So our team have developed a free daily sourcing workshops. 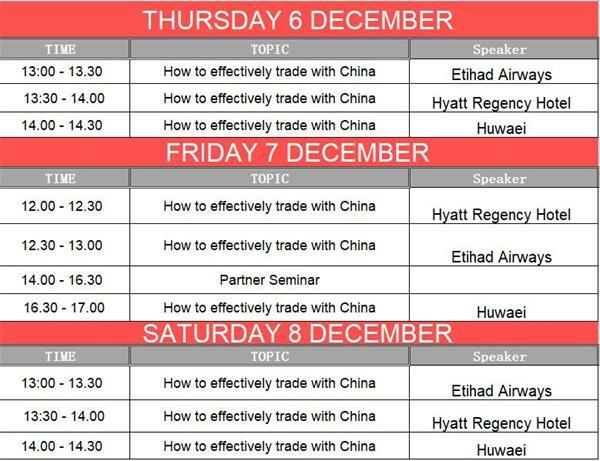 These workshops are designed to provide you with the tools and knowledge on how to efficiently do business with China. This is your chance to obtain the skills and make direct connections to source high quality, cost-effective products that will help you build up your business. We are looking forward to seeing you there.